The South China Sea is the cockpit of geopolitics in East Asia. Five countries – Brunei, China, Malaysia, the Philippines and Vietnam – plus Taiwan have substantial and competing territorial and maritime claims in a body of water that is both an important source of hydrocarbons and fisheries and a vital trade corridor. The recent history has been scarred by cycles of confrontation. Today, the clashes are becoming more heated, and the lulls between periods of tension are growing shorter. As the region continues to grow in influence and power, the handling of the competing claims will set the tone for relations within East Asia for years. The cost of even a momentary failure to manage tensions could pose a significant threat to one of the world’s great collaborative economic success stories. Despite China’s controversial development of some of the reefs it controls, the current relatively low temperature of the disagreement offers a chance to break the cycle, but it is likely to be short-lived. The countries of the region, supported by the wider international community, need to embrace the opportunity while it lasts. The competition in the South China Sea goes back decades if not centuries, but the dynamics of the latest round of confrontation were set in motion by China’s decision in May 2014 to deploy an oil exploration rig in waters claimed by both it and Viet­nam. The deployment provoked deadly riots in Vietnam and widespread diplomatic condemnation: the rig was withdrawn two months later. The unexpected intensity of the response and the diplomatic fallout that followed prompted some deep reflection in policy circles in Beijing and the adoption of a less provocative stance. Despite retooling its tactics, however, Beijing remains committed to consolidating its claims over the islands and waters within what is known as the “nine-dash line”, an ill-defined loop that encompasses the majority of the area of the South China Sea, as can be seen by its extensive construction on a number of reefs it controls. Though the current situation does not inspire confidence in a lasting calm, it nevertheless offers a window of opportunity for regional stakeholders to harness China’s desire to avert another major deterioration in relations. In particular, Beijing has struck a more cooperative tone toward ASEAN (Association of South East Asian Nations). The ten-member grouping is pushing for a formal Code of Conduct to guard against and mitigate the impact of accidental clashes leading to confrontation. Beijing’s tactical adjustment could be another instance of its well-established practice of oscillating between assertive actions to expand control followed by gestures to repair diplomatic ties and consolidate gains. This cycle has become more compressed in recent years, with shorter lulls and more-frequent flare-ups, owing in part to China’s increased desire and capability to advance its claims. Beijing’s twin policy goals of stability on its periphery and safeguarding asserted maritime rights, which are inherently inconsistent in the context of the South China Sea, mean it continues to seek opportunities to gain ground when it deems tensions are manageable. 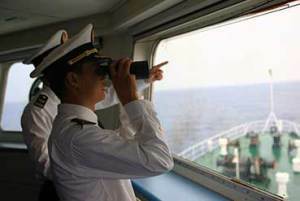 Although the aftermath of the oil-rig deployment triggered a reassessment, not least because it led to a strengthening of ties between key South East Asian claimants and the U.S., the mainstream of its foreign policy analysts concluded that China needs only to push its claims with more patience and tactical savvy, rather than reconsider the claims as such. President Xi Jinping’s foreign policy style has been characterised by a combination of soothing words and muscular actions, leading domestic and external observers to conclude he is more nationalist, more determined to assert maritime claims and less risk-averse than his predecessor. In an environment where a hard line carries far less political risk than moderation, foreign policy decision-making and implementation skew toward stridency. Accordingly, confidence in China’s promise of a “peaceful development” has been dropping in key capitals around the region. The Philippines reacted to a sense of “being bullied by China” by tightening relations with its treaty ally, the U.S. Members of the Manila policy establishment who supported bilateral engagement with Beijing lost influence after a mid-2012 standoff that began with the Philippines trying to arrest a group of Chinese fishermen and ended with China seizing control of the Scarborough Shoal, claimed by both but controlled by neither before the incident. In January 2013, Manila initiated international arbitration of its dispute with China. Beijing was incensed, refused to participate, and bilateral relations have gone into a virtual freeze. Although Beijing’s subsequent gestures at repairing ties with Vietnam have restored some hope in bilateral diplomacy, the deployment of the oil rig has done lasting damage to Hanoi’s confidence in both the predictability and intentions of its giant neighbour. Vietnam is hedging the uncertainty by courting Washington; pushing ASEAN to take a more proactive role in managing South China Sea issues; and preparing a possible legal case of its own against China. Indonesia, ASEAN’s largest member and de facto leader, views Beijing’s strategic intentions warily. It says it is not a South China Sea claimant but has lodged protests against the nine-dash line, which appears to extend claims to near Indonesia’s Natuna Islands. Since 2009, China has reportedly reacted sharply to Jakarta’s attempt to enforce its laws against Chinese boats allegedly fishing illegally. The splintering of ASEAN in 2012 over South China Sea issues distressed Indonesia, which is invested in its norms and unity, and raised questions among the foreign policy elite about whether China seeks to undermine the regional body. Beijing’s revision to its tactics offers an opportunity to break the debilitating cycle of tension spikes followed by relative calm. Overtures to secure the region’s cooperation for its 21st Century Maritime Silk Road initiative, a Xi Jinping priority, may provide further scope for multilateral diplomacy at a time when Beijing is verbally endorsing ASEAN’s lead role in maintaining South China Sea peace and stability – even if it does so mainly to block U.S. influence and rein in the Philippines. Indonesia is still resolved to guide the formulation of a maritime Code of Conduct, which would commit claimants to a set of consensus-based behavioural norms. Vietnam and the Philippines are also still invested in that ASEAN-driven process. The 2015 ASEAN chair, Malaysia, is well positioned to lead, as a claimant country that has amicable relations with China and is one of the more diplomatically capable members. The region thus stands a credible chance to experience a more durable calm in the troubled waters. b) the people/departments responsible for them have the authority to reach decision-makers speedily and instruct front-line personnel in an emergency. c) seek opportunities for confidence building, such as cooperation on enforcement of fisheries regulations. Expand combined bilateral naval exercises on implementation of the Code for Unplanned Encounters at Sea, to include navies of all South China Sea littoral states. Provide technical assistance and organisational support on incident-at-sea crisis management, for example by organising and sponsoring workshops on best practices involving China and ASEAN.